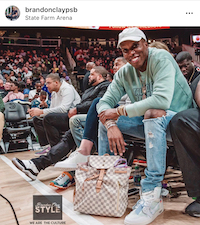 Kiefer is continuing to improve. 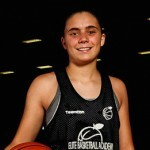 A smaller option at the guard spot, Kiefer is a hard worker who has dedicated herself to the game the past 12 months. 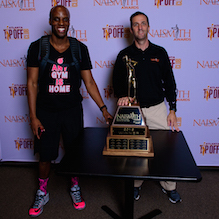 Look for her to establish herself as a guard capable of handling the ball in the halfcourt upon her return from injury this coming winter. 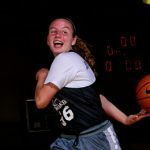 Class of 2019 guard Ansley Kiefer of Suwanee, Ga., has been working diligently on her craft to improve her game. She’s off to a good start with her play at the Elite Basketball Academy Top 40 Camp in March 2016. 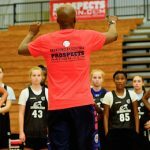 BrandonClayScouting.com Director of Domestic Scouting, Jonathan Hemingway, got a first-hand look at Kiefer’s game at the camp. 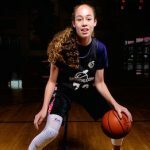 Brandon Clay’s takeaway – EBAAllAmerican Camp (Sept. 2016): Since her first trip to an Elite Basketball Academy event, Kiefer’s skill set has grown with each outing. The class of 2019 guard is handling the basketball and making open shots. Her calling card has always been her willingness to do whatever is asked and the combination of all the above makes her a player to watch. 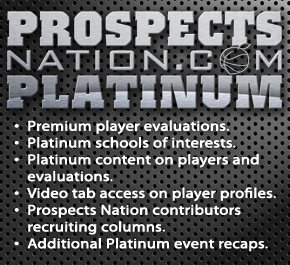 Per @Jarrett_PRO, ‘19 G @ansleykiefer of @NGGirlsbball & @TmLegacyHoops visited Lawrence Univ. last weekend. 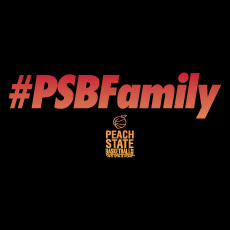 ‘19 G @AnsleyKiefer of @NGGirlsbball caught @JLHemingwayPSB’s notebook at #PSBSummerKickoff with @TmLegacyHoops. ‘19 G @AnsleyKiefer of @NGGirlsbball / @TmLegacyHoops has been busy. Visits last weekend to North Alabama & Lincoln Memorial. ‘19 G @ansleykiefer of @NGGirlsbball has an offer from @CoachMWilliams_ of Simmons College. It’s official. ‘19 G @ansleykiefer of @NGGirlsbball & @GAHoopstars_FBC is back! Need Exposure?!? We can help. Available ‘19 G @AnsleyKiefer is ready to return. 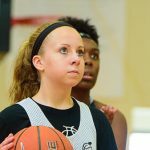 ‘19 G Ansley Kiefer of @NGGirlsbball is ready to return to the court. ‘19 G Ansley Kiefer (@ansleykiefer) of @NGGirlsbball is close to returning thanks in large part to @CoachRJLuke. ’19 G @ansleykiefer of @TeamEliteJD is working hard to return to the court soon. ’19 G Ansley Kiefer (GA) is on the comeback trail after an injury. Mar. 11-12#SMPMember ’19 G Ansley Kiefer is ready. She’s consistently improving! ’19 G @ansleykiefer (GA) keeps growing her game w/@AP_BBall. 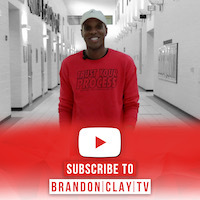 @BrandonClayPSB will watch tomorrow. ’19 Ansley Kiefer is a quick PG & shined at #EBAAllAmerican in September. Ansley Kiefer continues to grow her game in multiple dimensions. 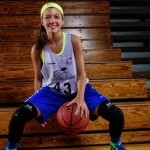 Ansley Kiefer impressed at #EBAAllAmerican w/ her high motor & vision. ’19 G Ansley Kiefer impressed @coachhemi at #EBATop40 Camp in March. We’re glad to add ’19 G Ansley Kiefer of @NGGirlsbball & @CoachO10.